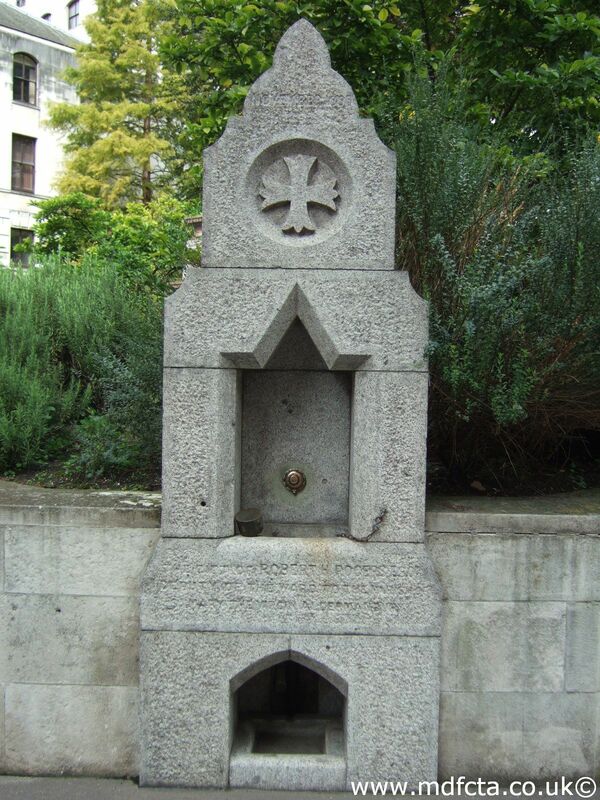 Are there any more Metropolitan Drinking Fountain and Cattle Trough Association cattle troughs in the City of London? 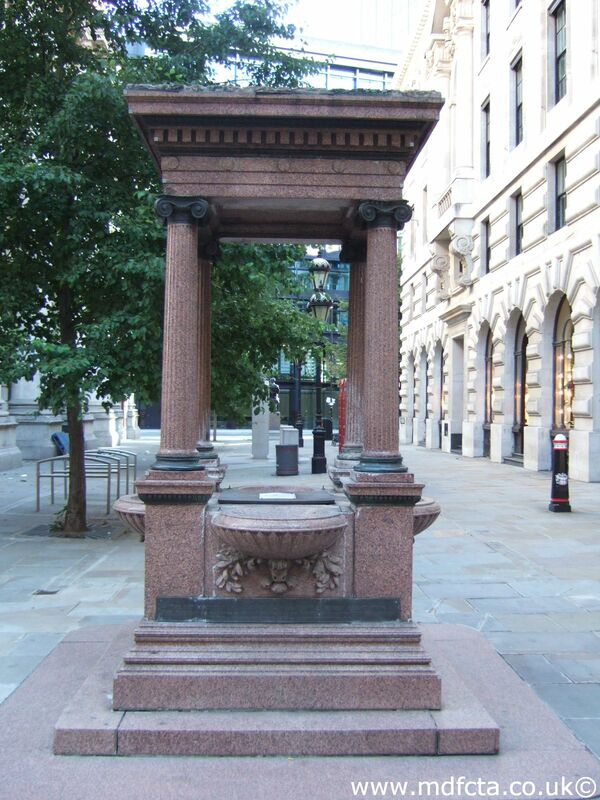 If you know of any other cattle troughs in the City of London please send me details. 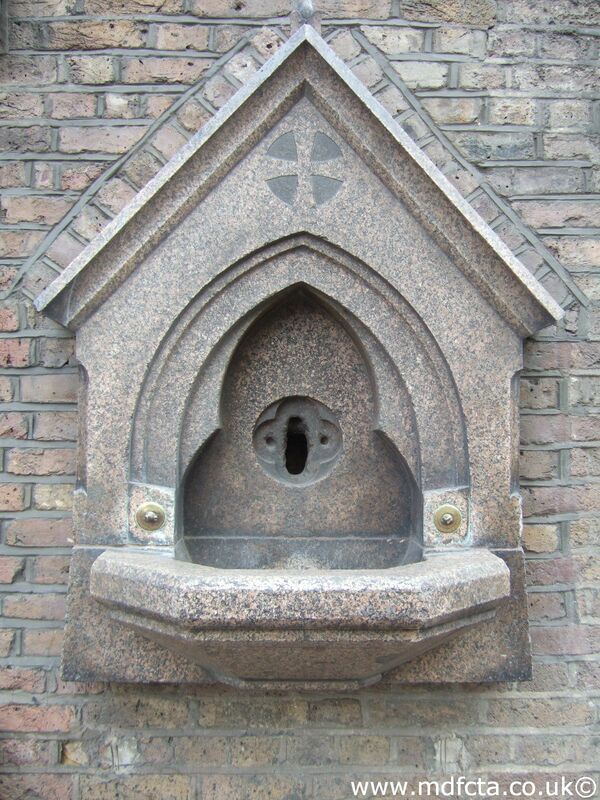 In February 1893 a 9ft 6in trough  was erected on Bishopgate. 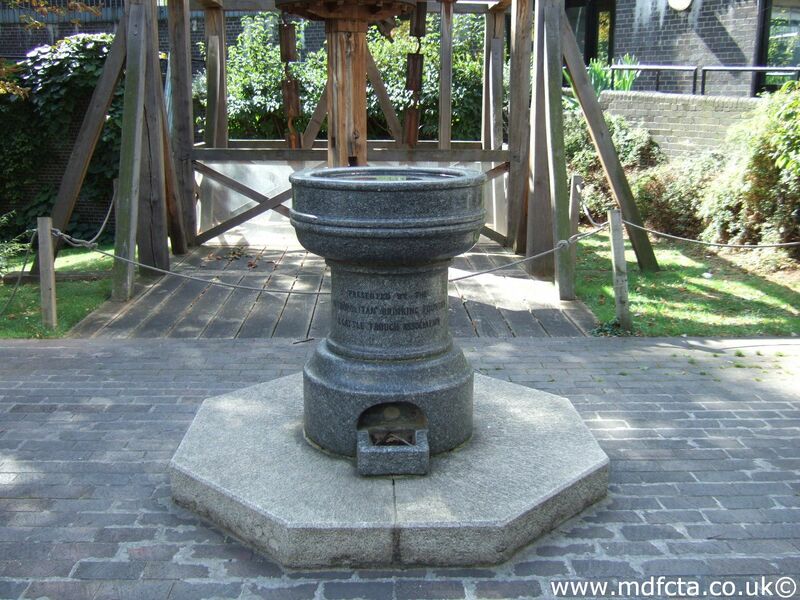 In April 1907 a 9ft 6in trough  was erected near Tower Hill by Barking Alley Byward Street. 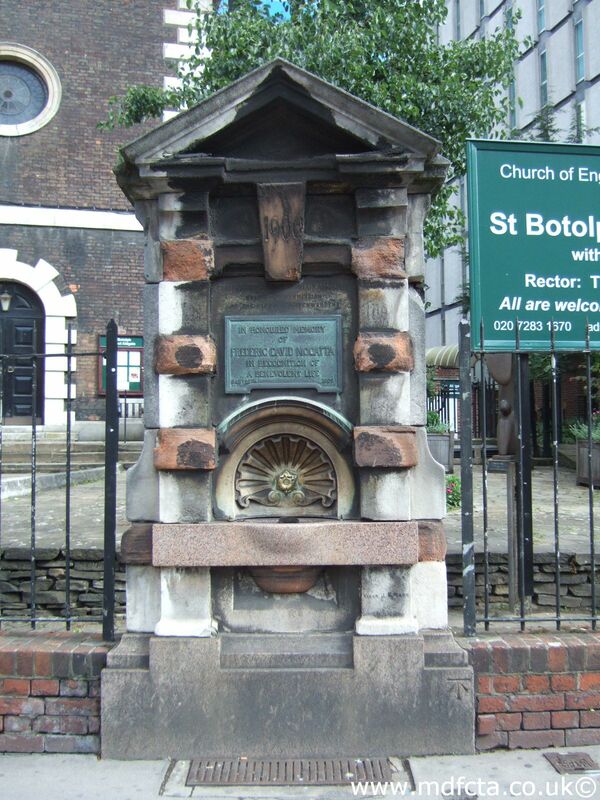 It was paid for by Lady Banbury in memory of her father T.B. 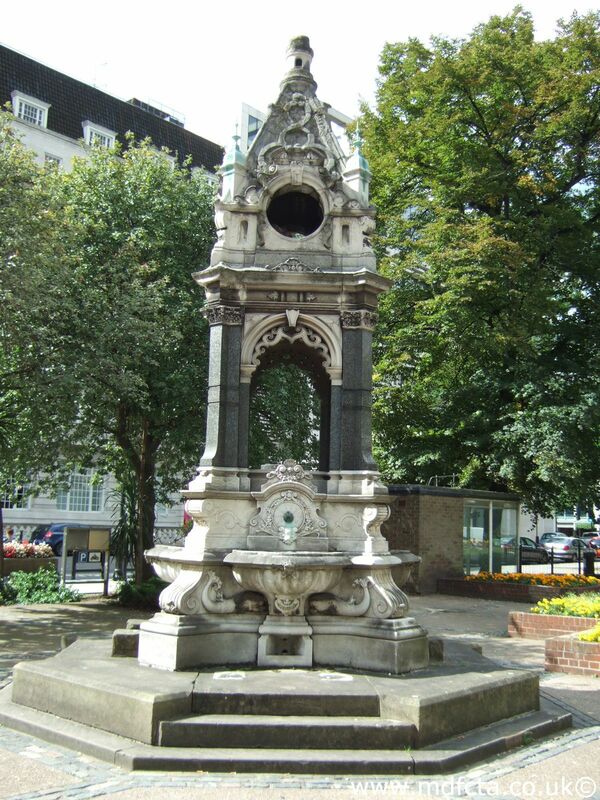 Beale Esq. 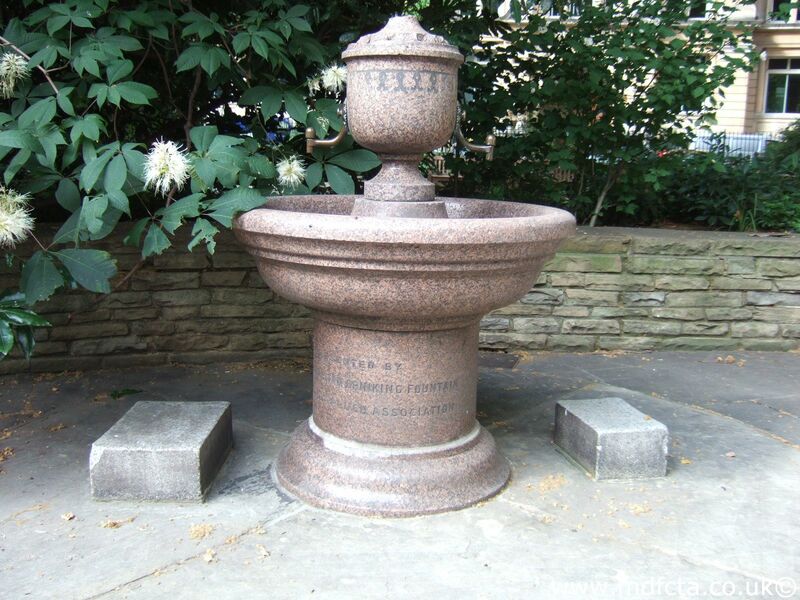 In 1912 it was transferred to Chelsea Embankment near Chelsea Bridge and an 18ft trough from 1883 , the gift of Mr. John Noble, was moved from Chelsea Bridge and re-erected in Byward Street. 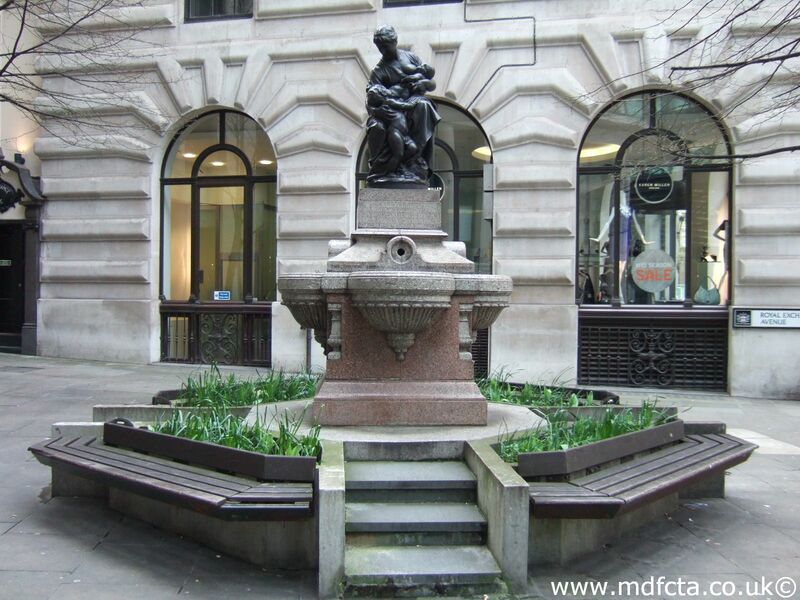 In September 1878 a design-31 trough , the gift of Mr. J.H.Buxton, was erected on Cornhill under the Royal Exchange pump. 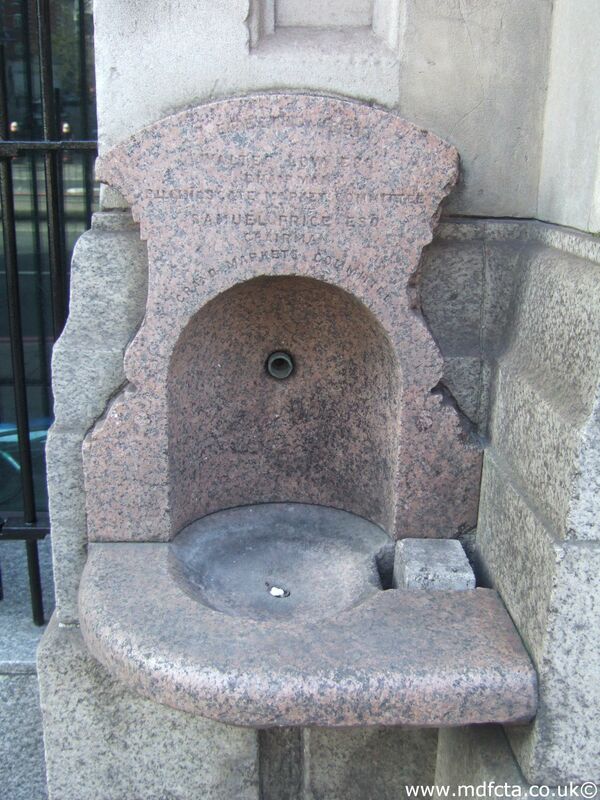 There is a non-standard trough under the Royal Exchange pump but is it the original MDFCTA trough? 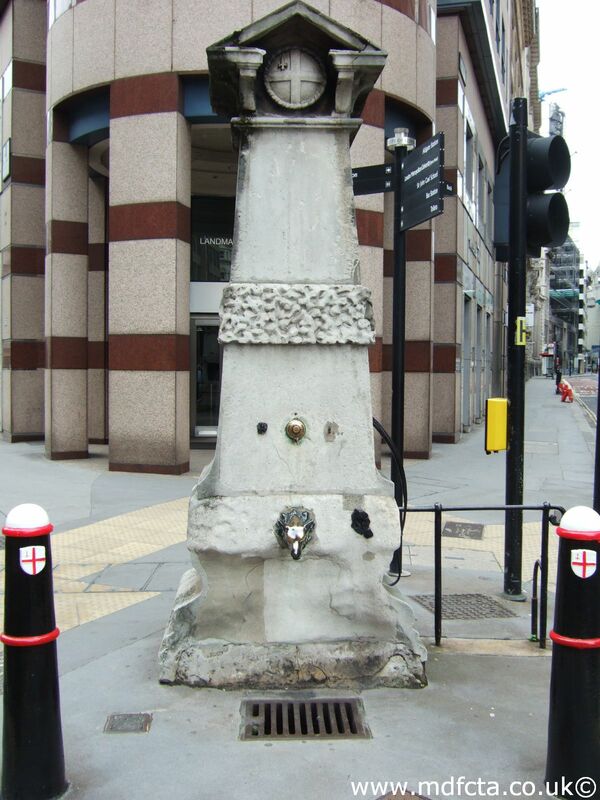 In 1912 a 9ft 6in trough  was moved from Bishopsgate to the north-west corner of Eldon Street. 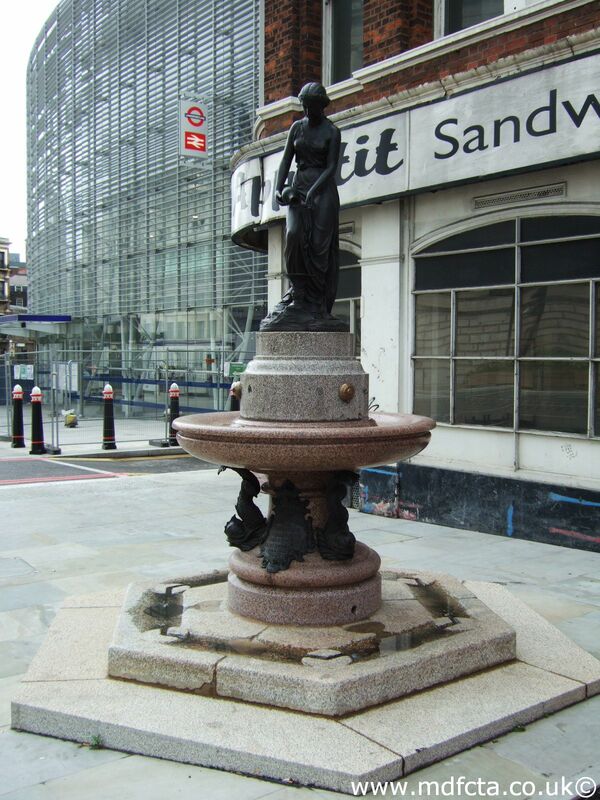 It was originally, December 1893, located close to the other Bishopsgate trough  but moved to make way for a tramway. 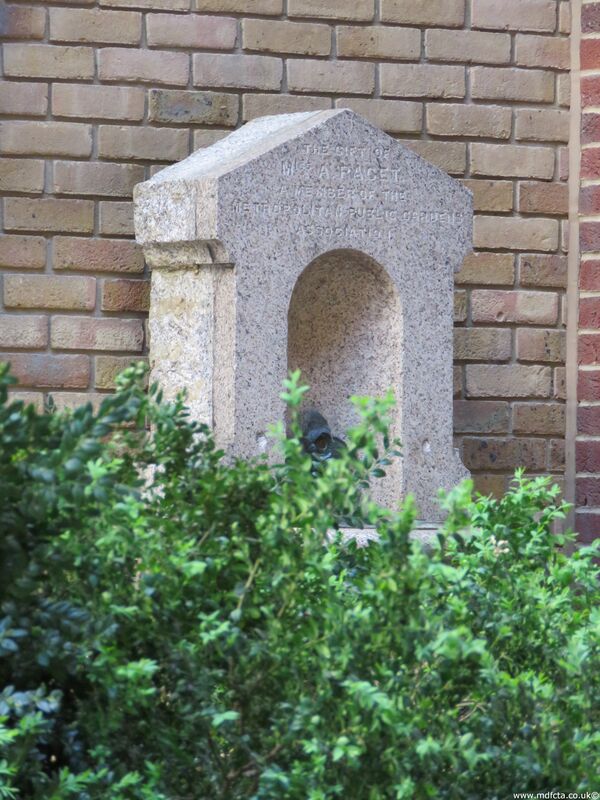 This trough was the gift of Mr. J.H. 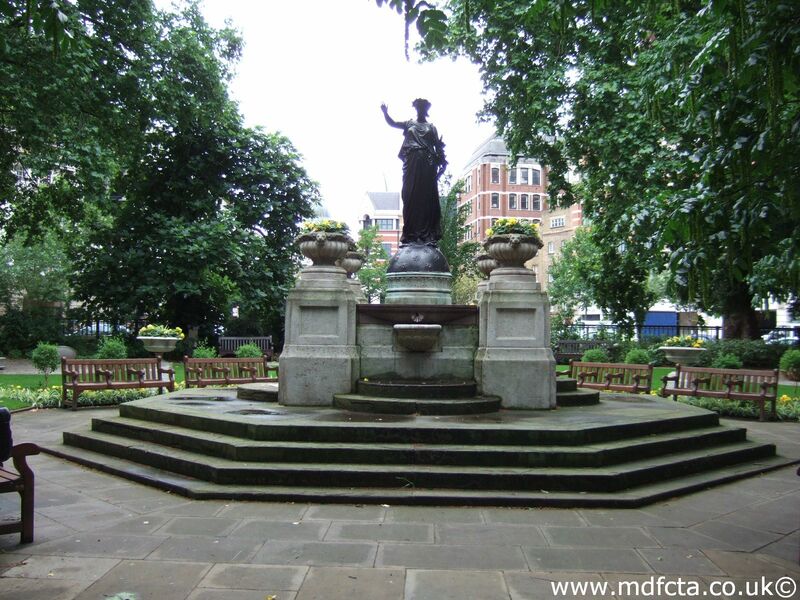 Buxton and was removed (to where?) 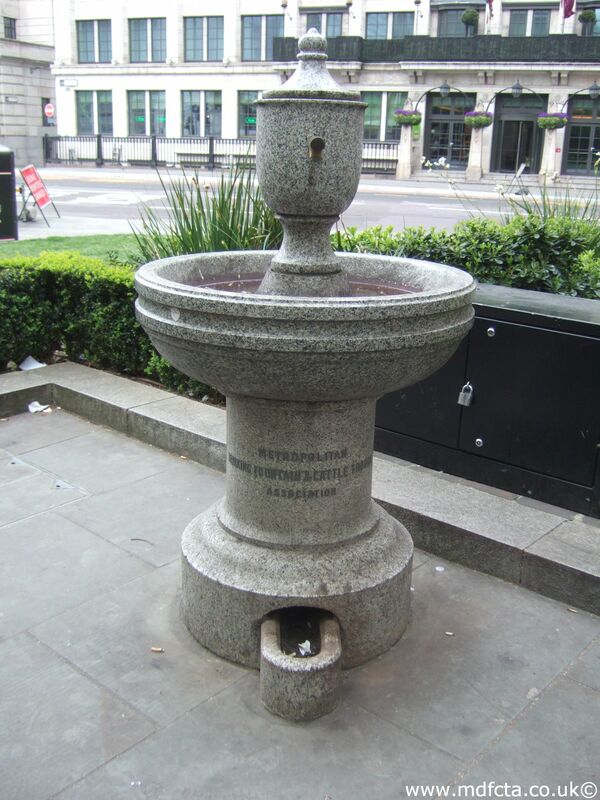 in 1962. 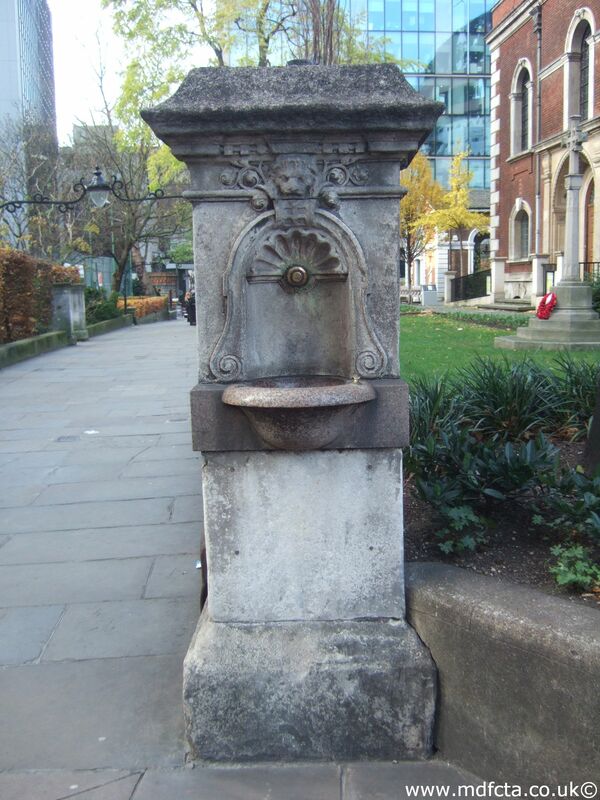 In December 1892 an 18ft trough  was erected in Temple Gardens. 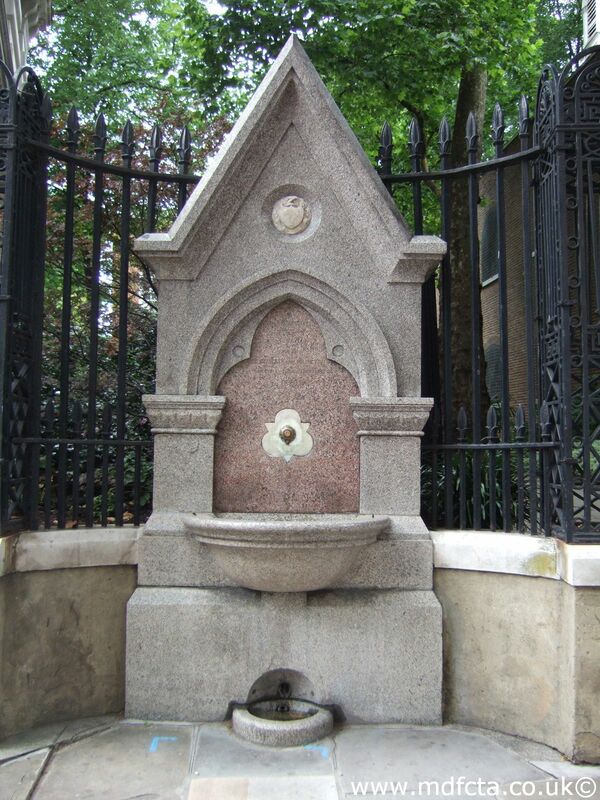 The gift of Mr. J.H. 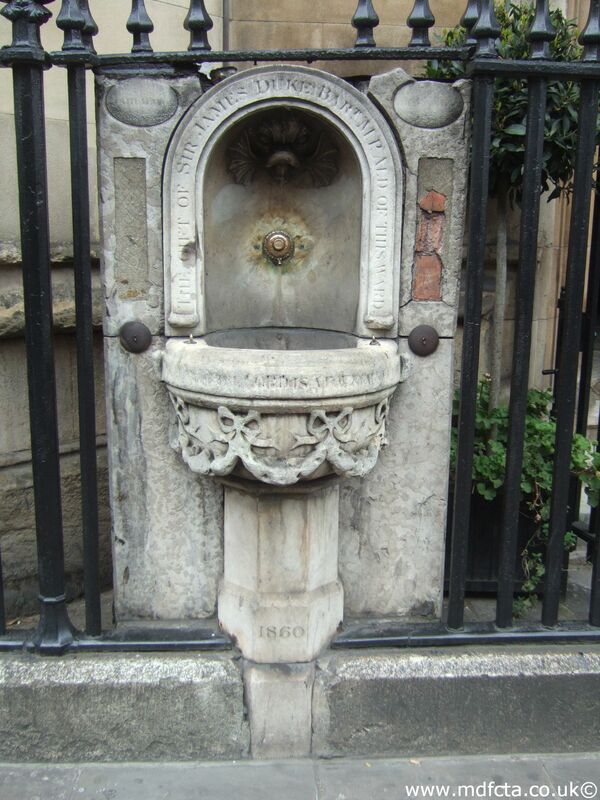 Buxton. 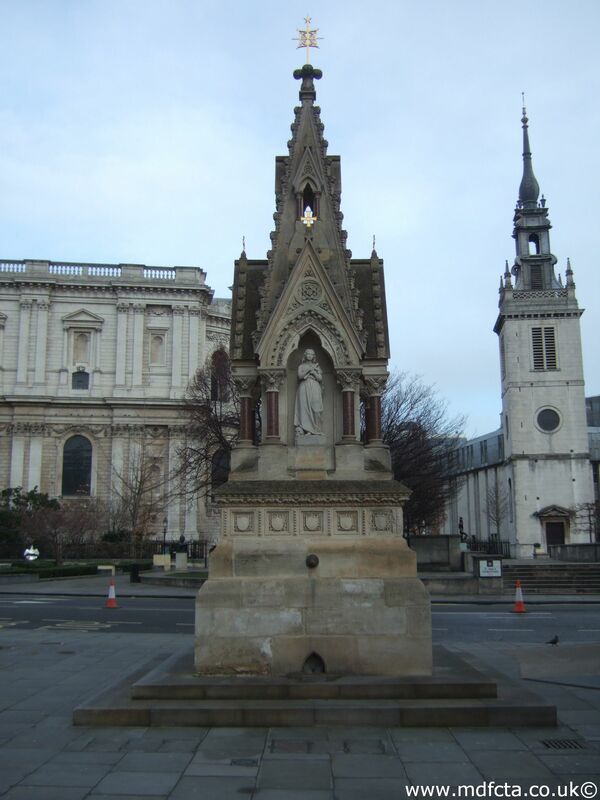 In January 1894 it was removed and re-erected on the opposite side of road by order of the LCC. 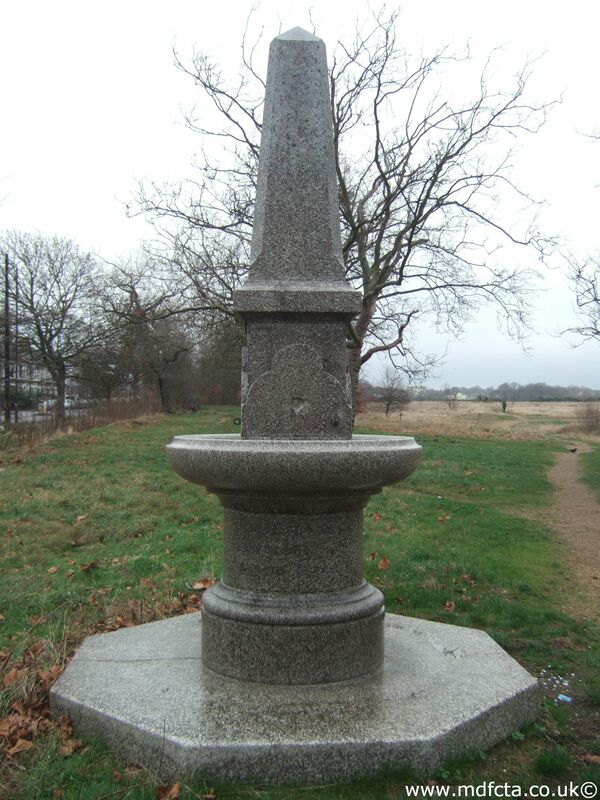 In 1906 it was moved again to the north side of the road. 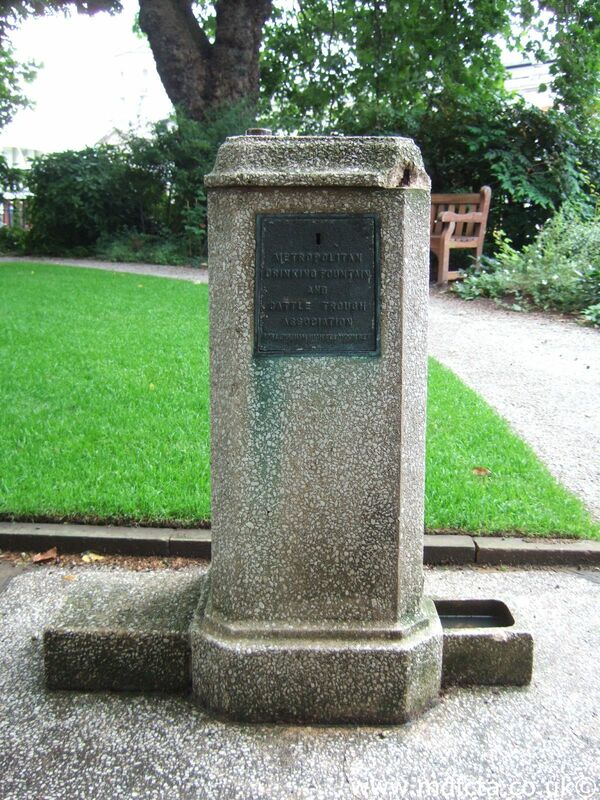 This much travelled trough was moved to Hyde Park in 1985 as a memorial to horses killed and injured in the Hyde Park terrorist bombing. 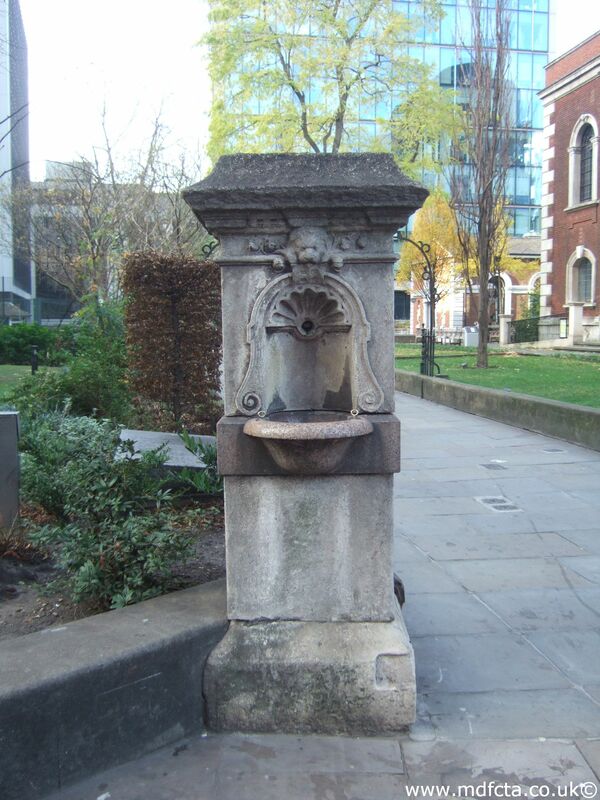 Are there any more Metropolitan Drinking Fountain and Cattle Trough Association drinking fountains in the City of London? 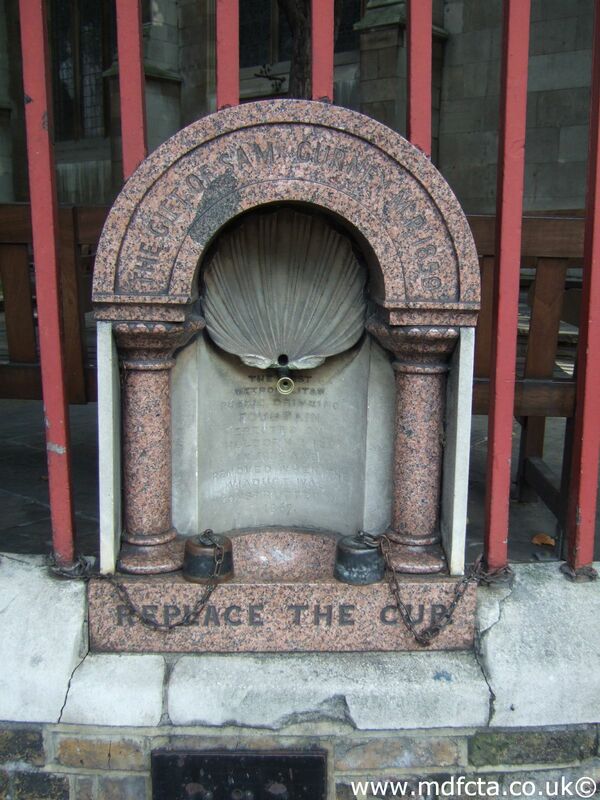 If you know of any other drinking fountains in the City of London please send me details.